Superdry men's SD Laundry organic cotton sweat pants. Luxuriously soft and cosy, these sweat pants are a must have when lounging around at home. 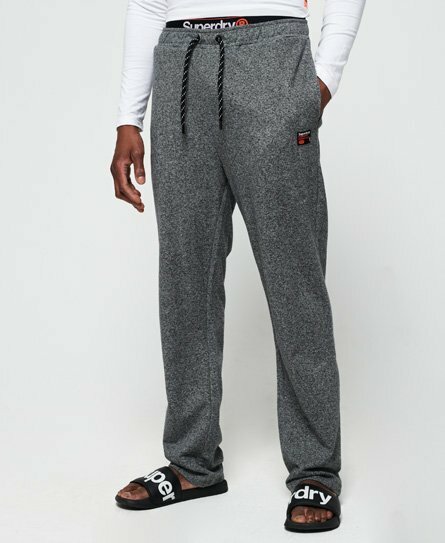 Featuring an elasticated waistband with drawstring detailing, two front pockets and a back pocket, these sweat pants are completed with branding on the waistband and a small logo badge on the thigh. Throw on with a soft, long sleeve t-shirt for the ultimate comfort outfit.